Want to make your home look like a magazine? If the first step is collaborating with an interior design to create a beautiful room in your style, the second is styling your space to perfection. Once you’ve installed your core furniture and decor, styling your accessories will put the finishing touches on your space and give it an editorial look that really sings. 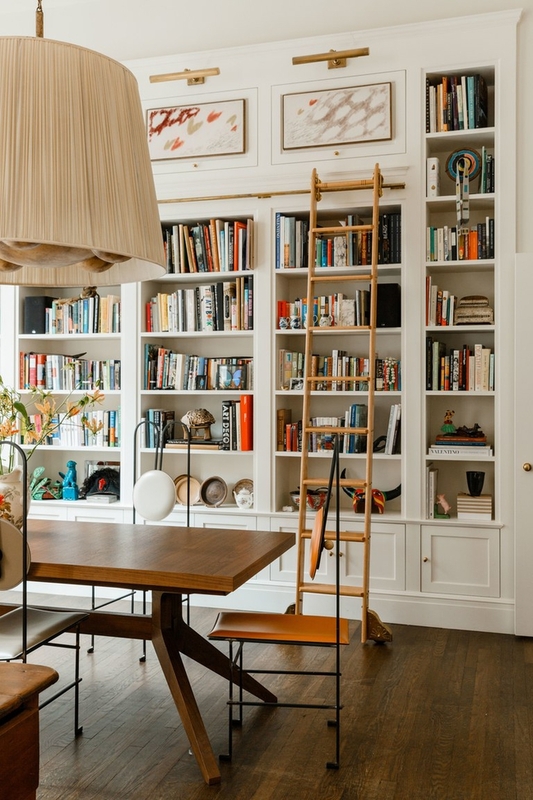 To learn how the pros do it, we spoke with Colin King, an interior stylist who produces and styles feature stories for major magazines like Architectural Digest, T Magazine, Vogue, Domino, and Dwell. 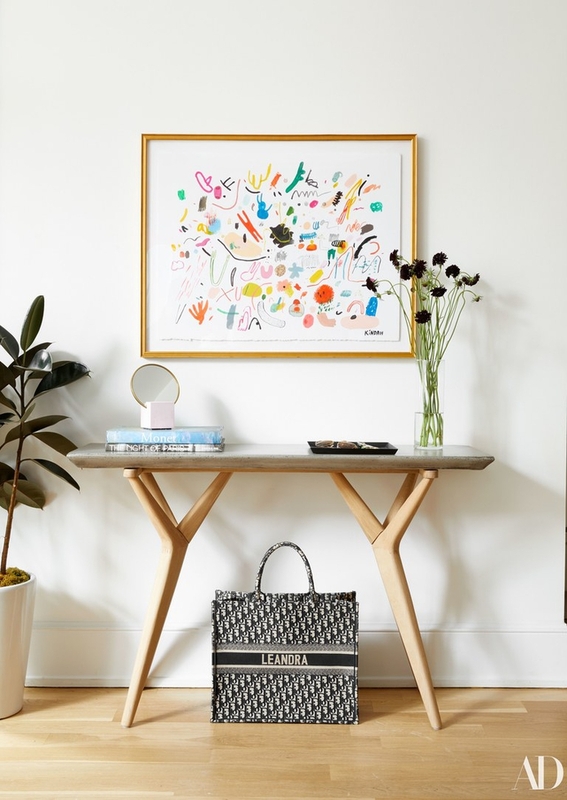 We got to know Colin last summer when he was styling our design for Man Repeller founder Leandra Medine’s SoHo apartment, which was featured in Architectural Digest, and watching him work was truly a learning experience. Read on below to learn his styling secret weapons, favorite coffee table accessories, strategies for bookcase styling, and more. Styling tricks for, say a still-life vignette for a photograph, do not necessarily apply to styling your own home. Are there any tricks-of-the-trade that you feel are always applicable to any space? Negative space and asymmetry. Edit, edit, and then edit some more. I remove and add, playing with different combinations of objects until I find the contrast in an arrangement that seems like they shouldn't make sense together but somehow do. I am inspired by nature and what nature produces—nothing about nature is linear or symmetrical or immune to decay. Someone once said, “Being a stylist is like being a mover with an eye.” When I step into a space, I immediately dissect the objects around me and begin moving them searching for opportunities to unearth variety, subtlety, and complexity. Styling a coffee table seems to be something that even some of the best interior designers haven’t mastered. What types of accessories do you love to use when styling a coffee table and how do you think about arranging them? Bookcases, whether built-in or freestanding, are something many of us have in our homes. For those that really are jam-packed with books, how can people improve the way they look? And for those who are still building their book collections and may have more negative space to work with, what tricks can they apply? Go big with accessories. So often I see people get a bunch of small accessories that quickly become cluttered and lose their value when placed on shelves. Have anchors on each shelf and then balance the weight between the shelves top to bottom and side to side. One large decorative or wooden bowl can hold its own better than a gathering of smaller items. I also love to undermine the original function of objects. A vase can be displayed without a flower, a large branch can become a dramatic, moody sculpture. Small lamps, decorative mirrors, or leaning artwork is a great way to take up some of that negative space and really engages the viewer’s attention. What are some ways we can decorate an empty surface like an “off-duty” dining table, a sideboard, or an entryway console table? Such a great question! Personally, my dining table doubles as my desk. So when I am not entertaining, I take over one end of my table with my favorite task lamp, a stack of books and a fresh floral arrangement. A sculptural lamp is always a unique was to bring life to a dead surface both during the day and at night. Also think three dimensional with your art in off-duty spaces. A sculpture or unique object, no matter what the size or shape, never fails to make a statement and can easily be moved and stored for when the piece is ON duty. How can one make a small or squat room feel larger or taller than it is? I am naturally drawn to lower profile furniture, but also when the horizontal lines of your furniture are lower than average, it tricks the eye into thinking the squat room is taller than it actually is. And, similar to my advice for bookshelves, using a few large furniture pieces instead of multiple small ones actually decreases clutter and makes a room feel bigger. Lighting is also super important—more light gives space depth—so leave the windows uncovered and ditch the overhead lights. Harsh top-down lighting pools all the light in one space. Use a few smaller table and floor lamps to spread the light around and draw the eye around the room. When it comes to styling props or accessories, do you have any not-so-secret weapons? Books and abundance. Books possess the ability to convey a lived-in sense of authenticity that gives a grounded reality to a space, making it look more like a home and less like a showroom. I love pairing books with other unique accessories or using them as a pedestal to elevate objects creating layers and variation. Stack them high enough and you’ll have a chic side table. Abundance—sometimes it’s better to capitalize on the excess. I always take this mind-set into the kitchen. A bountiful bowl of fruit or vegetables brings that sense of warmth that every home desires to achieve. Florals and greenery can really step any room up to the next level. Do you have any favorites? I am drawn to stems and branches that are sculptural in form. Dance has undoubtedly influenced my choices in florals after studying and creating lines with my body my whole life. I try to create form and shapes within my designs. I love the color and texture of purple smoke tree branches and I am always drawn to wildness of entangled Gloriosa Lilies. I like loose arrangements that feel trimmed from the garden. There are countless ways to make a bed. Do you have a go-to strategy on bed-making? Less is more. And I like to abandon the idea of perfect here. I keep the pillows to a minimum—flat on the bed, stacked two high with maybe ONE lumbar throw pillow. If there is a duvet on the bed, I like to fold it in a half and then pull it back into thirds so it looks extra fluffy, breaks things up and leaves space to see a colorful sheet or quilt. I’ve also been very into the linen bed coverings that have been trending pulled up over the pillows and pooling onto the floor. How can one make their home feel “lived-in” without losing polish? Bring in those vintage and handmade pieces! I gravitate towards pieces that aren’t too fragile or precious that possess patina and soulfulness and most important: anonymity. 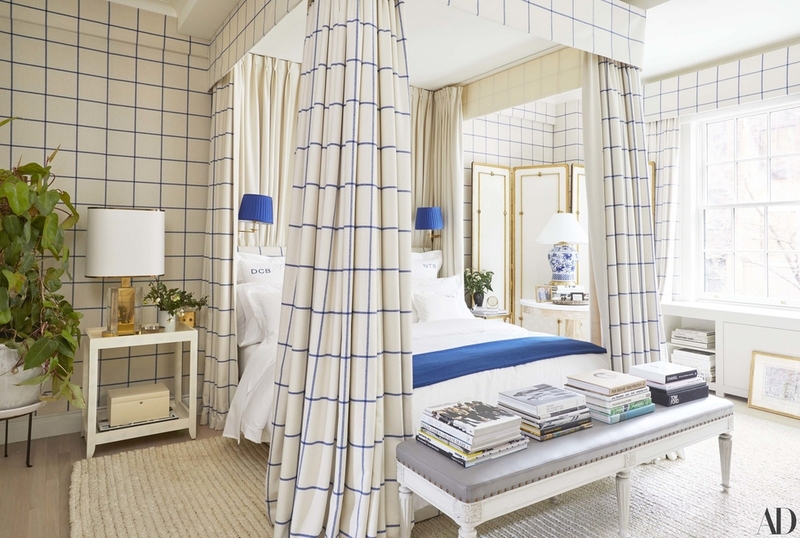 What’s the number-one trick you’ve learned to make any room look gorgeous? Let’s be honest: The information in any given room and the combinations of elements relating to each other is virtually limitless. Most of what I do is instinctual. And I only know I’ve done my job when I step back and I can’t imagine the space being any other way than it is that moment. Visit Colin's portfolio site to learn more about him. Ready to make your home look like a magazine? Start a project today with a Decorist designer for as little as $299/room.